Today we bring you 10 brand new teasers for the fifth episode of series 9, "The Girl Who Died". 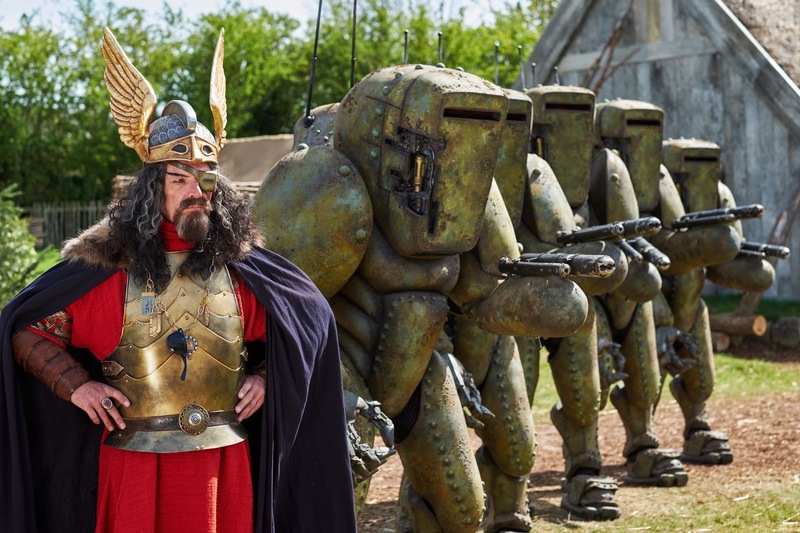 "Captured by Vikings, the Doctor and Clara must help protect their village from Space Warriors from the future: the Mire. Outnumbered and outgunned, their fate seems inevitable. So why is the Doctor preoccupied with a single Viking girl?" "What's to stop them re-arming?" "I'm not actually the police, it's just what it says on the box"
"There's nothing you can do"
"Not in the mood for vikings"
Why did he choose that face? "Have you trapped your finger in something again?" The Girl Who Died airs Saturday 17 October on BBC One, with the time confirmed for 8.20pm to 9.10pm.